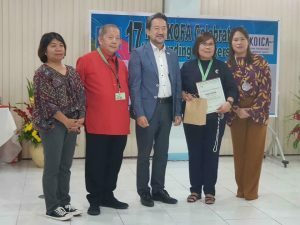 Knowledge Sharing – Philippine KOICA Fellows Association, Inc.
Luzon holds its Knowledge Sharing on Agricultural Technologies and Strategies. 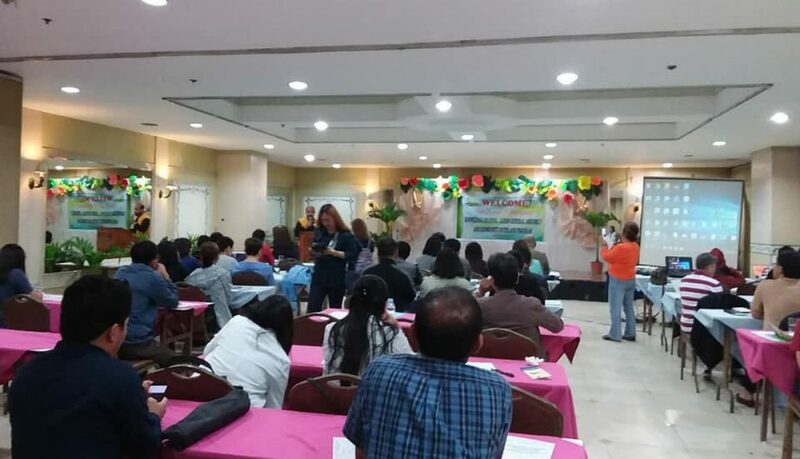 PHILKOFANs from the Local Government Units, National Government Agencies and their Regional Offices, Department of Education, State Colleges and Universities and the Cordillera Administrative Region were among the participants in the recently concluded Knowledge Sharing on Agriculture and Rural Development Strategies held at Hotel Veniz, Burnham Baguio City last October 6, 2018. 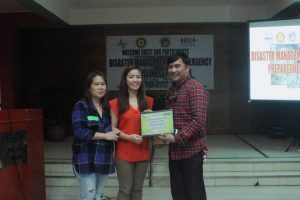 Ms. Shellanie B. Molitas of the Provincial Local Government of Benguet, CAR. Technical Capability Enhancement for Mechanization and Post-harvest Handling of High Value Crops and Vegetables. Mr. Mark Anthony Mangoba of the Philippine Center for Post-harvest Development and Mechanization, Nueva Ecija, Region 3. Master of Science Degree Program on Agricultural Processing and Marketing. 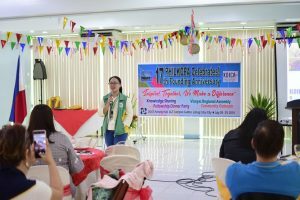 Ms. Bathsheba Aparilla of the Special Projects Coordination and Monitoring Assistance Division, DA Central Office, National Capital Region. Strategies and Measures for Capacity Building in Rural Development. 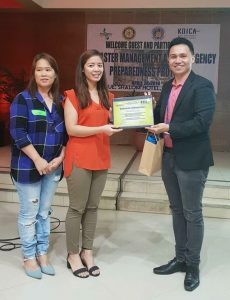 Ms. Marjorie Villanueva of the Local Government Unit of the City of Dagupan, Pangasinan, Region 1. Master of Science Degree Program in Fishery Science. The Open forum every after two presentations generated interest from the audience with their active participation and the animated hosting of Dr. Rodolfo Estigoy of PHilMech. 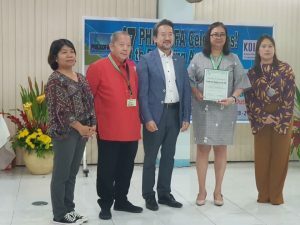 The PHILKOFA and KOICA awarded a certificate of appreciation and token to the resource persons. 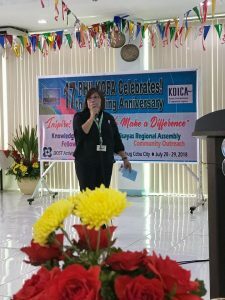 During the preliminaries, the Board of Trustees of PHILKOFA led by the President, Ms Gina Borinaga facilitated the Registration and Opening Ceremonies. 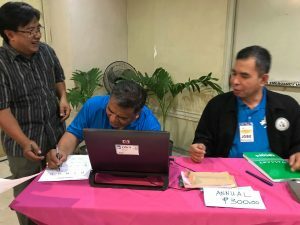 Specifically, Col. Jose Benavides, Treasurer, was in-charge of collection of membership fee and annual dues. Mr. Resly George Amador, Secretary, in-charge of registration, Ms. Gina Borinaga, President, introduce PHILKOFA and the BOT and Officers and Engr. 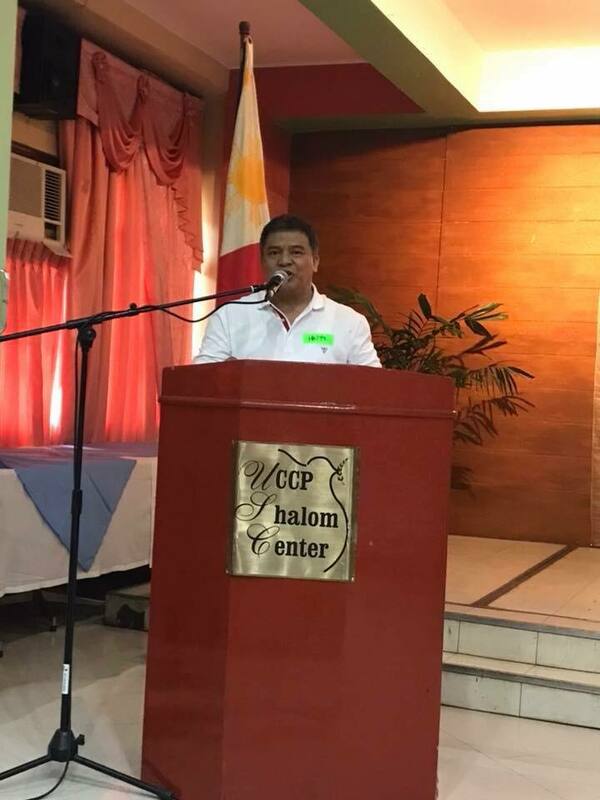 Genaro Tolentino, Vice President for Luzon and overall coordinator of the event. 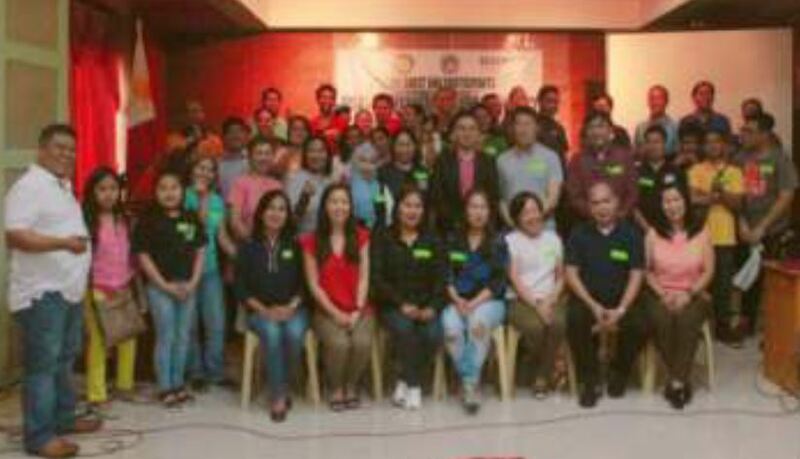 Other PHILKOFANS also provided support in the facilitation of the overall program. 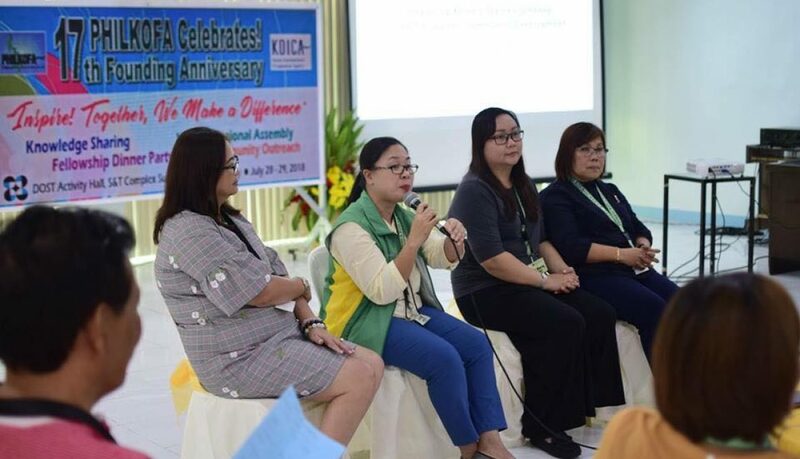 Dr. Ofero Capariño of PHilMech gave the Opening Prayer, Ms. Olive Cancer of PHilMech served as Master of Ceremonies, Ms. Vicky Barlis and Ms. Anna Galvez of PHilMech, assisted in the registration, food and accommodation, Mr. Art Aro of NEDA-CAR gave the Opening and Welcome Remarks, Ms. Edith Abergas, a retiree from NEDA and former President of PHILKOFA gave an inspirational message and Dr. Rodolfo Estigoy hosted the Knowledge Sharing. Many other PHILKOFANS and even friends of PHILKOFA, with special mention of the PHILKOFA-CAR, provided voluntary support and assistance to ensure that everything is taken cared of. 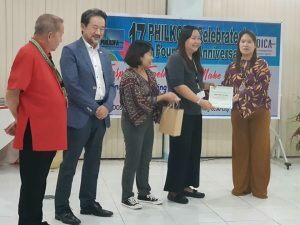 Truly, the spirit of volunteerism is evident among the PHILKOFANS. 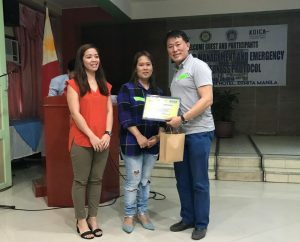 KOICA Scholars and Philkofans Edward De Borja, Training Officer 111, DOH, Jose Reyes Medical Center shared on Disaster Management Rescue, Mr. Jonas James Agot, Local Government Operations Officer 6, DILG-NCR, shared on LGU Management and Protocols and Resly George Amador shared a brief lecture on Pagasa and KOICA partnership. 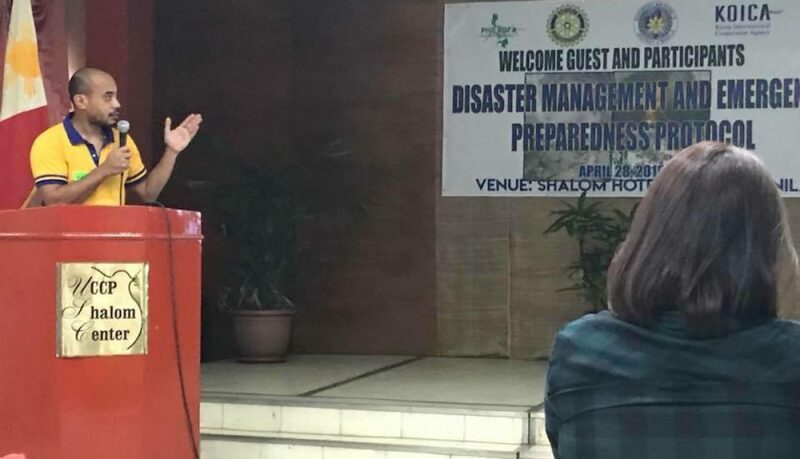 Guest Speaker Mr. Shin, Sung Ho-, Vice President, United Korean Community Association in the Philippines delivered a brief lecture on Disaster Management Operations. 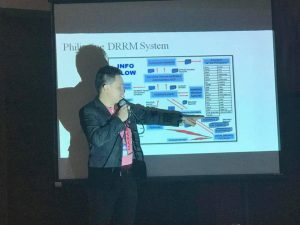 The three Philkofa scholars were able to present to the participants an in-depth presentation of their assigned topics. 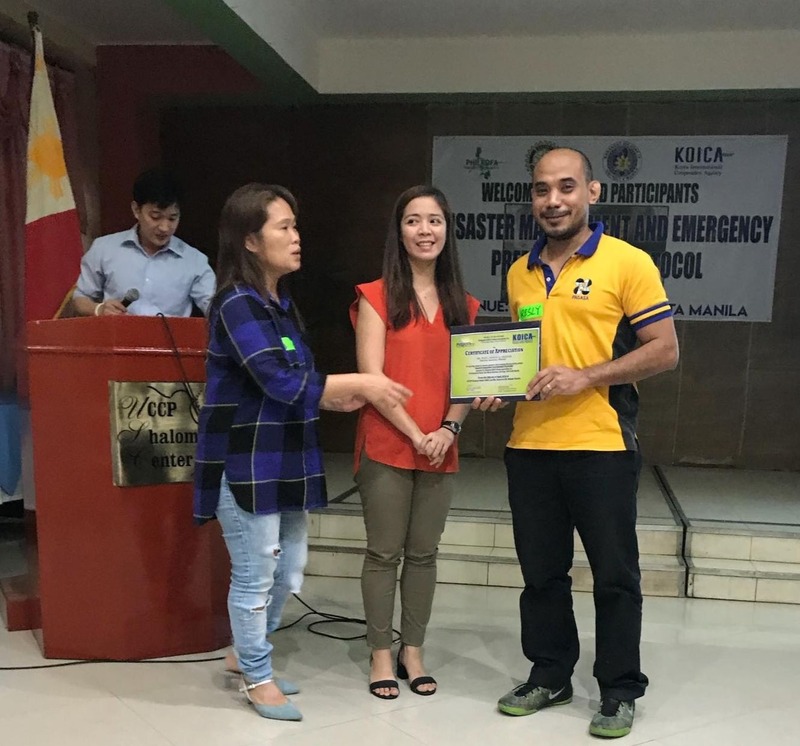 Their profound knowledge in Disaster Management were very useful and effective resulting a positive interaction between the resource person and the participants during the forum. 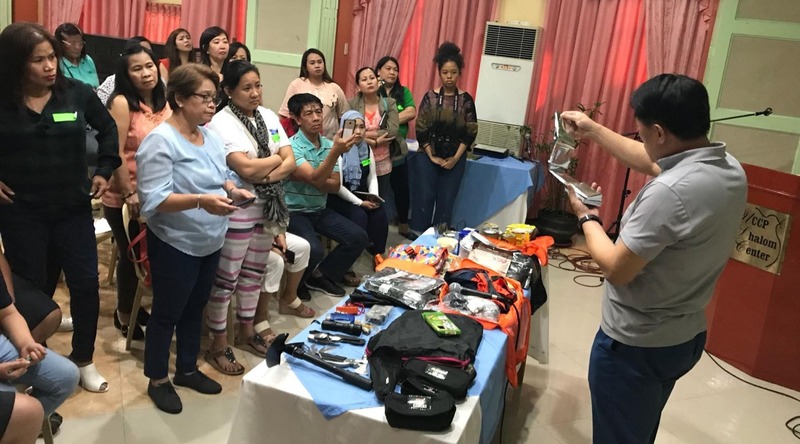 Mr. Shin’s actual presentation of Emergency and Survival Kit has added an impact on the audience participation. 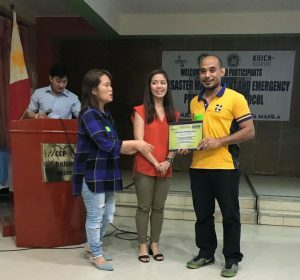 His expertise and knowledge is very encouraging thus, the participants especially the LGU Baranggay expressed their desire to strengthen their Emergency response Team and plan to acquire additional disaster and emergency tools and equipment needed for the purpose. Philkofa, LGU Barangay and Rotary Club of Manila Robinson committed to establish a partnership or linkage/network towards ensuring wider dissemination of knowledge among their members and communities on disaster and emergency preparedness. 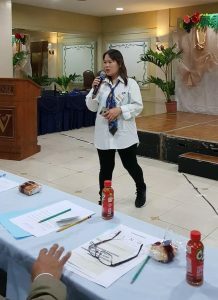 Ms. Marilyn Miranda, an education supervisor at the Department of Education Regional Office and trained in Korea in 2016, one of the presenters for the Knowledge Sharing, showed how Persons with Special Needs (also known as PwDs) can be managed and given opportunities to live normal lives like office or factory personnel through proper training and education as is done in South Korea. Ms. Sweet Mercy Pacolor, Associate Dean, College of Arts and Sciences shared how ICT can be functional for the homes, hospitals, business and other establishments making life easier and smarter as being practiced in Korea. 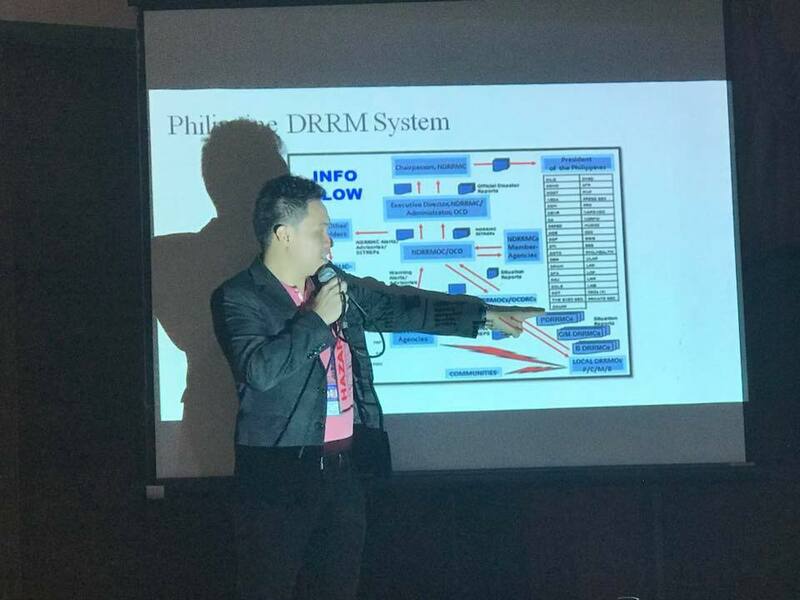 “Keeping all records online makes sharing possible and delivery of medical services faster and more accessible”, she said. The third presenter was Dr. Judy Ann Dumayas, Medical Center Chief of Eastern Visayas Sanitarium, Santa Barbara Iloilo, a 2016 graduate of the Korea Training on Upgrading Delivery of Health Services for Geographically-Isolated and Distant Areas (GIDA). 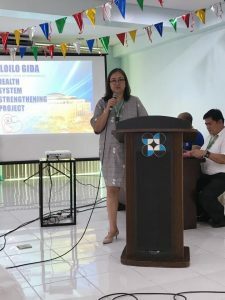 Dr. Dumayas revealed the substantial assistance extended by KOICA for upgrading public health services in Iloilo such as hospital equipment amounting to PHP 300.0 million, which she proudly reported to be “well-maintained and functional”. Another salient feature of the project is the “Happy Mom Voucher” which entitles a pregnant mother to freebies such as hygiene products, baby needs and maternity clothes every time she shows up at a clinic for pre-natal check-up, meant to decrease maternal deaths. 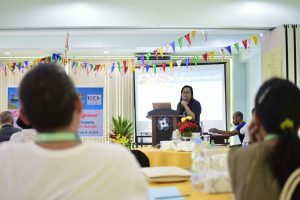 To cap the Knowledge Sharing Session, Ms. August Melody Andong, NEDA Region-6, was well-applauded with her illustrations of self-help initiatives in rural communities following the Saemaul Undong concept. 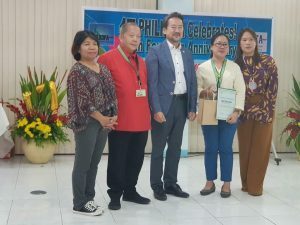 Ms. Andong spent 18 months at Yeungnam University where she obtained her Master of Saemaul Studies major in Saemaul Undong and Community Development in 2016. 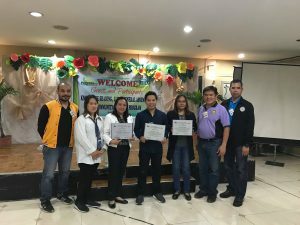 After the presentation, open forum and discussion with the presenters and participants followed with BOT and VP for Luzon, Genaro Tolentino, acting as host and moderator throughout the whole activity.